The Red and Black Coordination is created to internationally coordinate the actions of the unions following the tradition of self-management, anti-authoritarian, anarchosyndicalist and federalist internationalist labor movement. 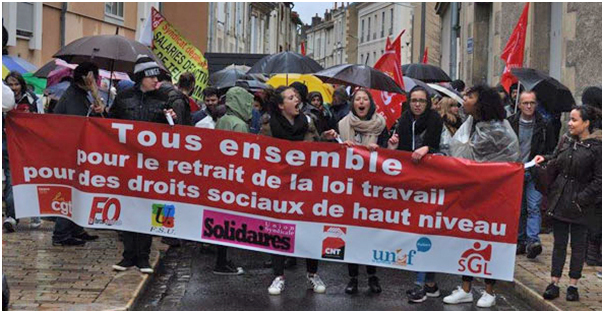 This link stands in exchanging informations and developing analysis and projects to strenghten the self-organization of workers; the co-ordination of strikes or any other actions aimed at achieving common goals. Doing so in order to facilitate not only the immediate granting of material benefits and social rights but also to promote class consciousness. The Red and Black Coordination does not belong or owe anything to any political party and claims for autonomy from parliamentary politics and the recovery of individual responsibility of workers in their emancipation from wage labor and exploitation, whether it be exercised by employers or the state. 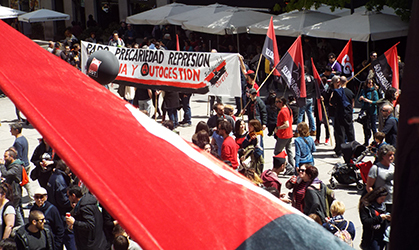 The Red and Black Coordination supports all self-organized autonomous struggles of workers without putting limits on both the media as to the strategies used in the defense of their claims. COMUNICADO PRENSA, ACTO HOMENAJE, POR LA MUERTE DE DOS COMPAÑEROS.